Posted January 28, 2019 by Sarah Lederle & filed under . 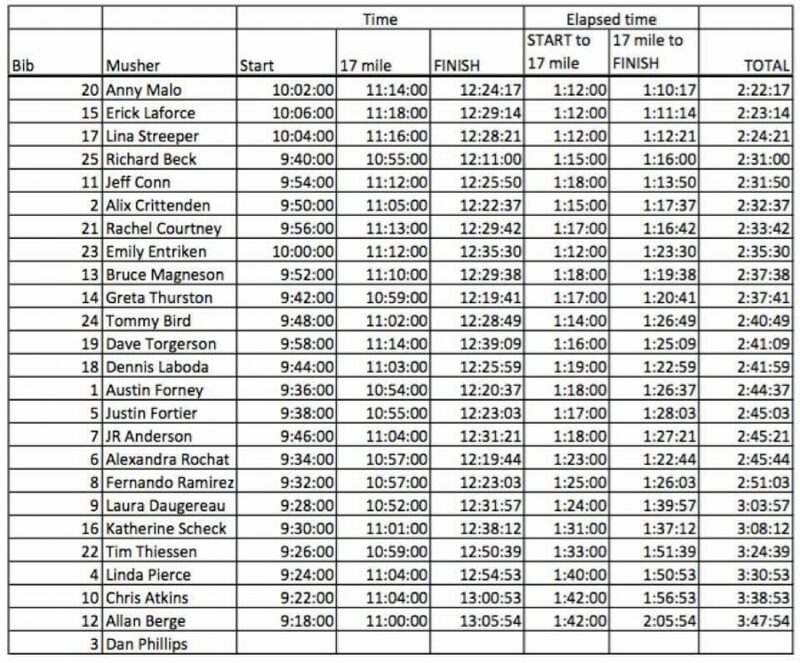 Once again these split times are an arm-chair musher’s dream. Who did what? What happened to bib #XYZ? It’s all apparent here but with sled-dog racing nothing is a sure bet going forward. Courtesy of our amazing volunteers once again. © 2019 Pedigree® Stage Stop Race.